The main reason homeowners can’t justify maintenance is because they don’t see the need to spend money when everything appears to be working OK. But as we explained, this can have expensive consequences. Instead of offering just a couple of preventive maintenance visits every year, we decided to make a plan that brings you more benefits right up front. Whether it’s priority treatment or a discount, being a Comfort Shield Member can pay off immediately. With so many homeowners in demand of air conditioner services throughout Miami’s warm seasons, we have no choice but to schedule people accordingly. Sometimes, that means you get pushed back a day or two—which can feel terrible if you’re trapped in the heat. If you’re a Comfort Shield Member, however, that’s not the case. You’ll get guaranteed, same-day service as long as you call within our regular business hours. No exceptions. Free Diagnostic Service: You shouldn’t have to feel like you’re being punished just for having an AC issue. That’s why our maintenance plan removes the diagnostic fee for our members. Two-Year Repair Guarantee: Having part of the repair cost waived is nice, but what if you end up needing repairs again? If that’s the case, you’ll be protected by our repair guarantee for two years after the repair is made. A maintenance plan can save money where it counts, but we take it even further by offering further opportunities to save money. Not only that, but we’ll help make it easier for you when your system inevitably needs to be replaced. Discounts: Percentage-off pricing on repairs, service, new system replacements, and UV lights. 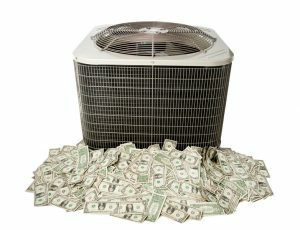 Rebates: Up to $1000 toward a replacement system. Bonus Bucks: 10% of membership fee goes toward new system replacement. To learn more about all the benefits of being a Comfort Shield Member, check out all the details on our maintenance plan page. We also have different packages that can meet your individual needs, so don’t be afraid to contact us for more information. If you’re due for maintenance, don’t delay! Contact Air On Demand today to schedule a service.